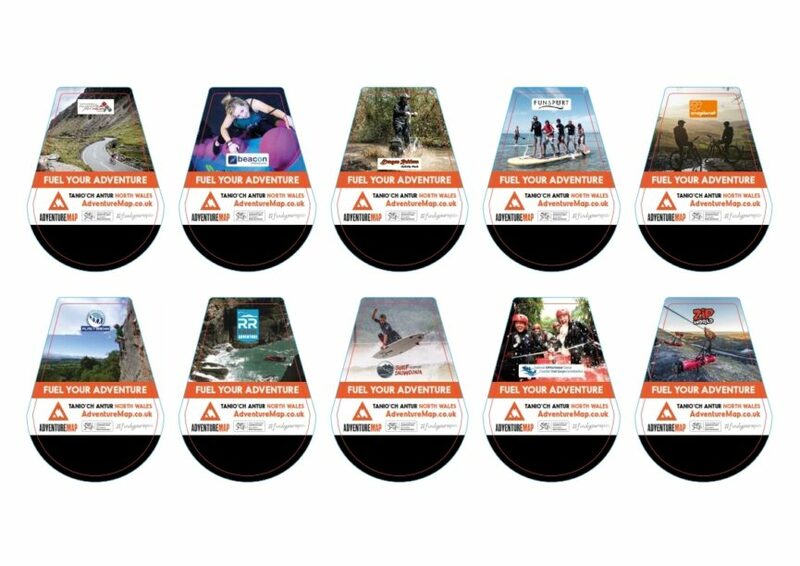 The AdventureMap Fuel Station advertising campaign runs from April to May 2017, in 12 sites in the North West. The campaign idea of ‘Fuel Your Adventure/Tanio’ch Antur’ came from Dave Cheetham at Plas y Brenin. The delivery of the project was carried out by t4media and AdventureMap Marketing Manager, Jo Quinney. The Easter and May Bank Holiday period is a busy period for travel in the UK. Each petrol station forecourt has only on member on every pump. “We wondered if anyone could catch all 10 AdventureMap members as they refuel this April–May,” says Jo. This project has been part funded by Welsh Government, Tourism Product Innovation Fund (TPIF) scheme.